Welcome to Sturges Heating & Air Conditioning, Inc. 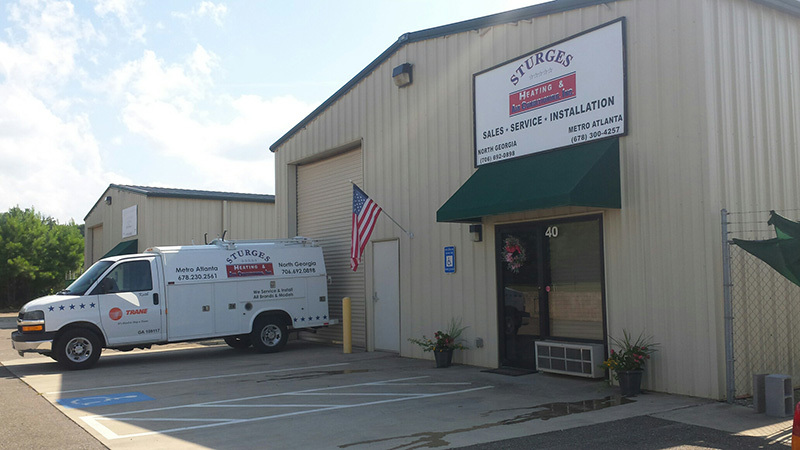 When looking for a professional heating and air conditioning service company for your HVAC needs, look no further than Sturges Heating & Air Conditioning, Inc. We are a customer-oriented, service company providing prompt, courteous, reliable, and knowledgeable mechanical solutions with the highest standard of excellence in customer service and technical expertise to get your home or office space back to being a comfortable environment. This, combined with our commitment to honesty, integrity, and pride in the job we do for our customers, makes Sturges Heating & Air Conditioning, Inc., your best choice for an HVAC repair or replacement experience. Located in Jasper, Georgia, we proudly serve the North Georgia, Metro Atlanta, and surrounding areas with residential and light commercial sales, service, repair, and installation of total gas and heat pump comfort systems, ductwork, and more. We work on all makes, models, and brands. Equipment replacement estimates and second opinions are always free.